After making a purchase you’ll be provided with a link to click in order to download your course. This link is available on your receipt e-mail. You will need to open the receipt e-mail on your Android device. Please note that you may need to change a setting on your Android device in order to install the course. In the Applications or Security settings for your device you would need to find the option ‘Unknown Sources‘ and tick the box to “Allow installation of non-Market apps“. When you click the download link on your receipt e-mail the course will download to your device. When the download is complete, go to the Apps section on your Android device and choose the Downloads section as shown below. 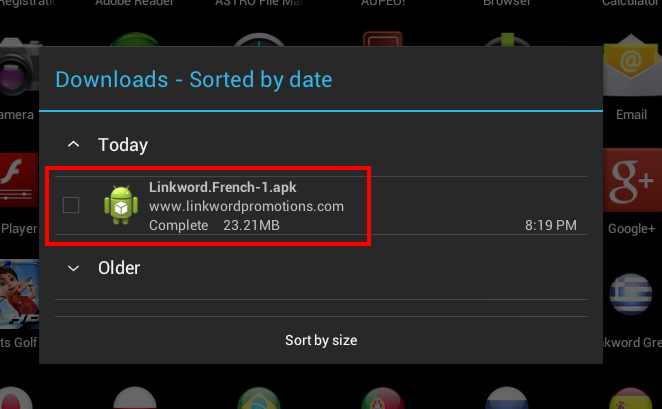 In the Downloads section, choose the Linkword.French.apk (for example) download and click on it to install the course to your device. 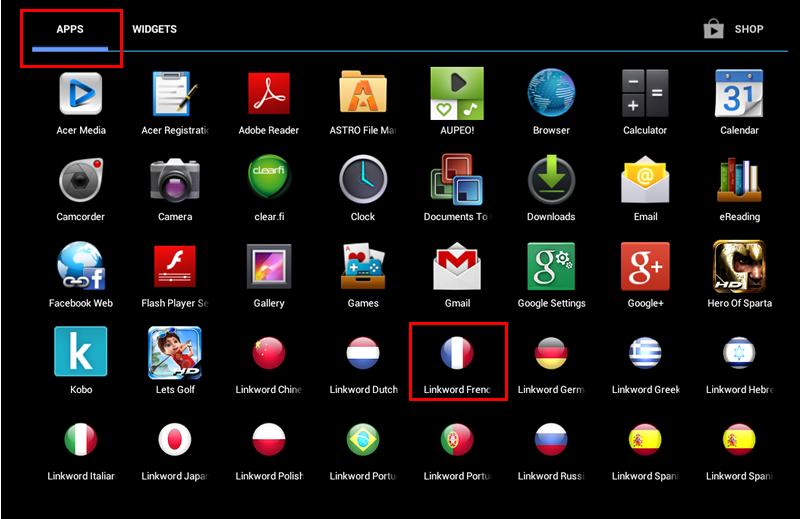 When the course has been installed, go to the apps section on your Android device and click on the Linkword French app (for example) to run the course.